Motorola 53968 Cloning Cable for DTR Series Two Way Radio Walkie Talkies The Motorola 53968 cloning cable has been DISCONTINUED by Motorola. You can still purchase the DTR programming cable to program your DTR radios here. 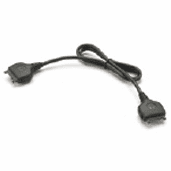 The Motorola 53968 is the cable you will need to clone from one DTR410 and/or DTR550 to another.